Craft your own throwing spear or pole weapon using the Small Spear Head. 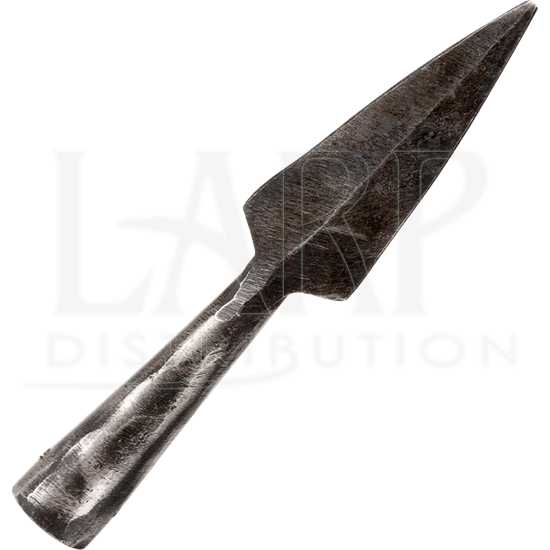 This historically styled spear head tapers to a point and has a central ridge. Made of steel, its hand forged construction results in a rugged, weathered appearance that suits all kinds of historical settings. This steel medieval arrowhead ends in a cone-shaped socket for attaching to your own wooden haft. 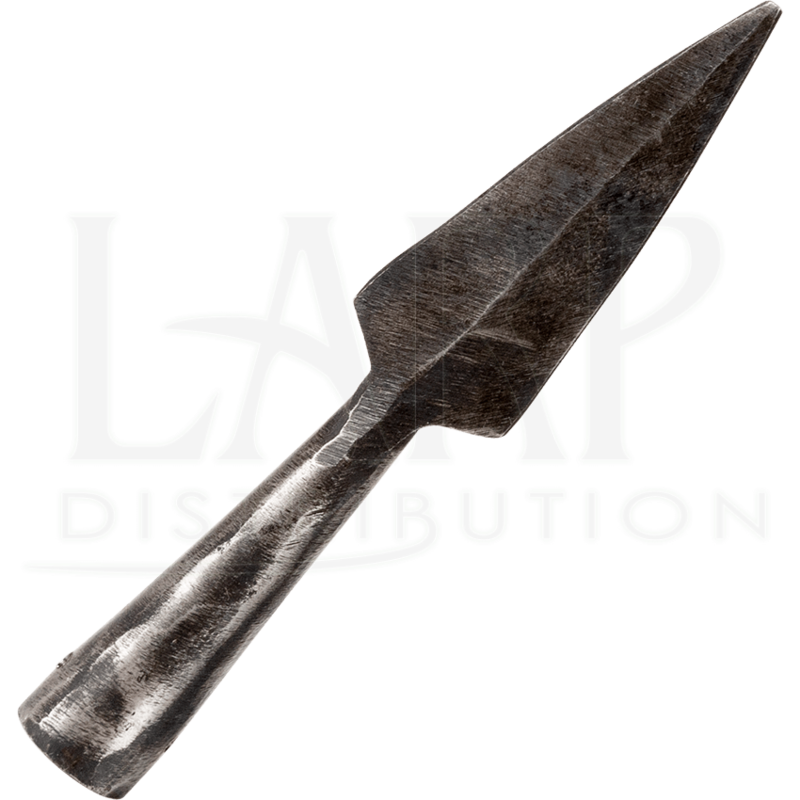 If your historical reenactment calls for a throwing weapon, you can create your own ideal medieval spear with this small steel spear head.